A special screening of this film exploring the real-life experience of a group of long-term prisoners taking part in an on-going music project in a Danish prison. Film is in Danish with English subtitles. The film shows the impact music has on the lives of these men within the secure environment and how music can be used as a bridge to the world they will face outside of the prison walls. 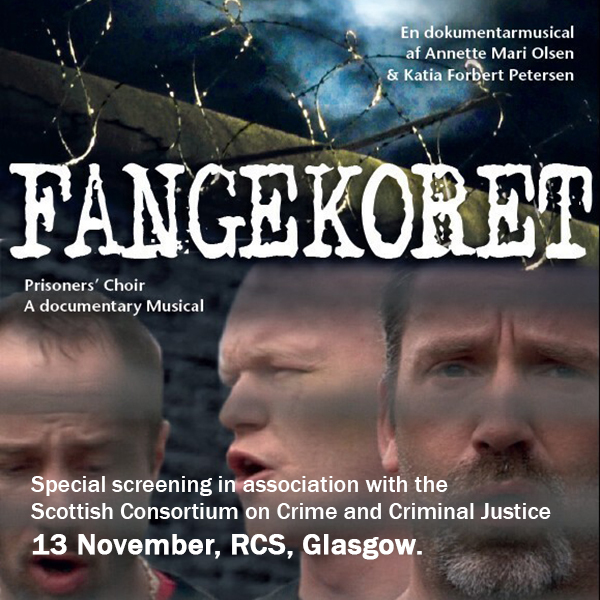 This is a joint event with the Scottish Consortium for Crime and Criminal Justice and will involve a screening of the film followed by an audience with the choir leader and musician Louise Adrian. Event will be chaired by Professor Fergus McNeill Tickets are £5 and £3 (concessions). Please book directly with RCS online or at Box Office 0141 332 5057.